If you’ve already done the walking and bus tours, it’s time to see Empire City from a new angle—why not try a cruise? 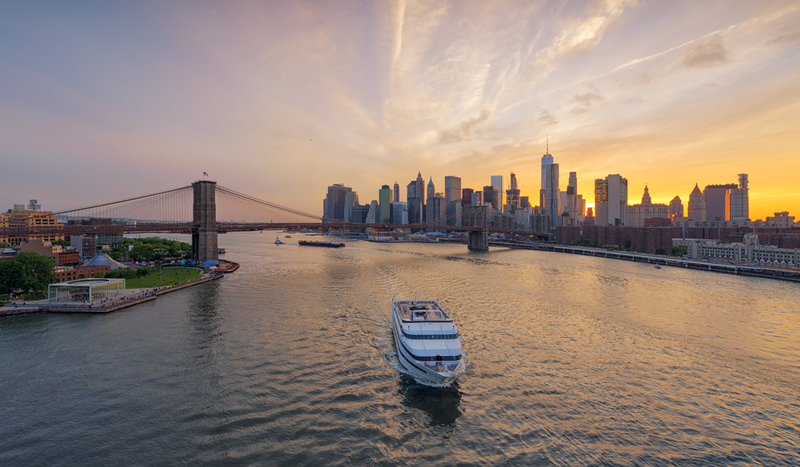 With the Hudson River, East River and New York Harbor surrounding the city, cruise companies cater to all budgets and tastes. 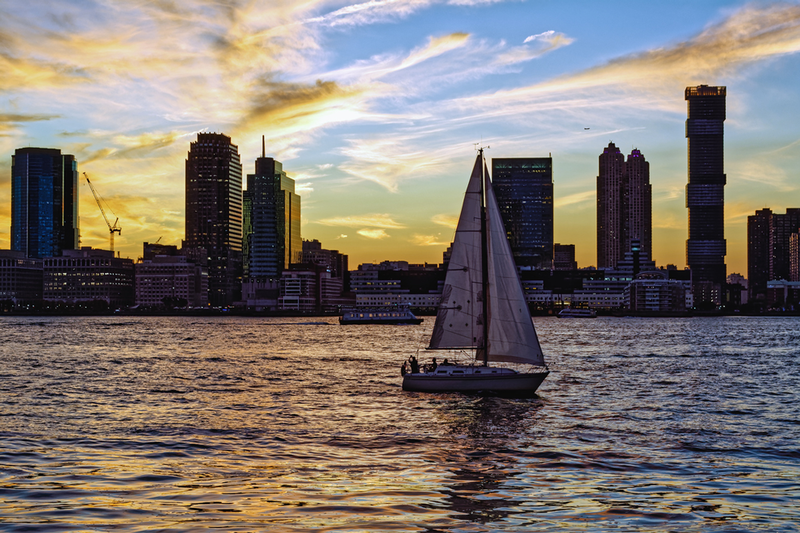 Regardless of the cruise you choose, all offer unparalleled views of The New York skyline. Have you heard of the double-decker Hop-On Hop-Off buses? 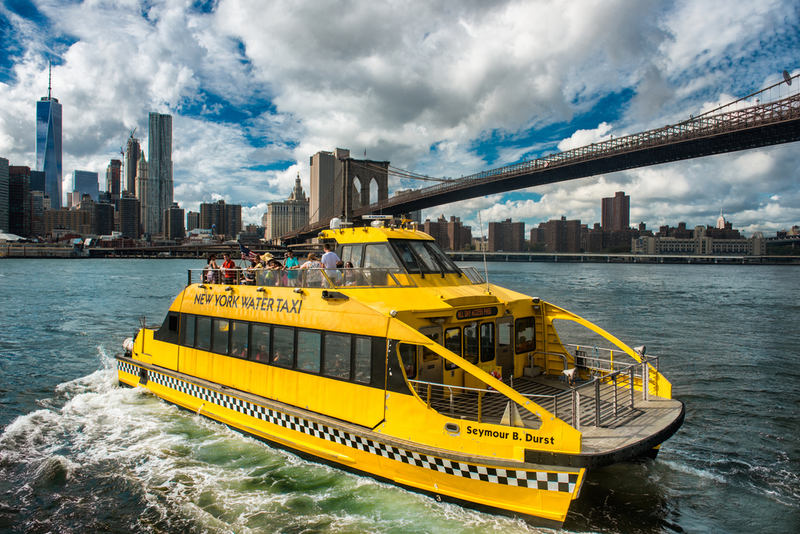 Well, New York Water Taxi is the same concept with the added benefits of no road traffic and great views of New York Harbor. 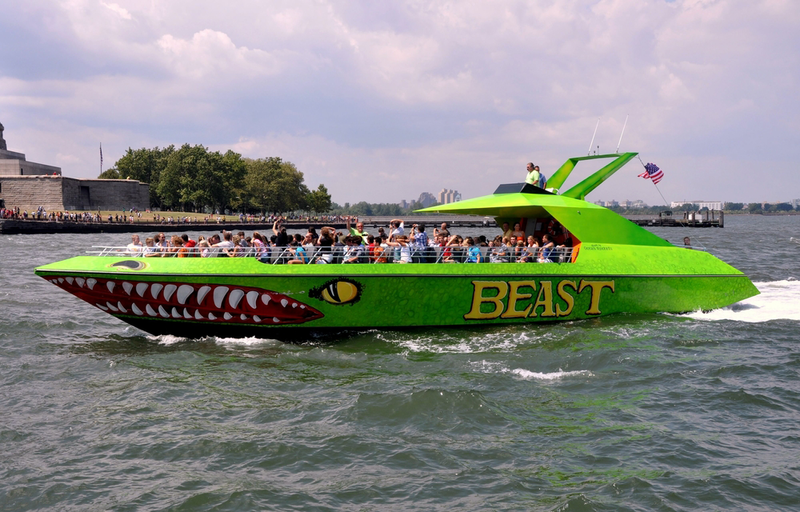 If you want a thrilling ride, for only $30 (adults)/$25 (children) you can take a 30-minute ride on a jet-fueled speedboat. It’s an exciting and bumpy ride full of twists, turns, splashes and views of Manhattan and New Jersey. You can purchase the ticket as a combo with admission to other top attractions. For a mellow experience, a jazz cruise is just for you. Tickets start at $55 and include a two-hour evening or nighttime cruise, live jazz and R&B performances, and a buffet dinner. Dress code is smart casual, so leave the shorts and flip-flops in your hotel room! What about a wine tasting experience on board a sailboat? Adults tickets are $98 and include a 2-hour tour and an afternoon of wine pairings by expert sommeliers. You’ll try various types of wine and delicious cheese, charcuterie and fruit. The atmosphere is laid-back, fun and casual. Do you want to dress up, dine and dance? Then, book a 2-3 hour buffet dinner cruise! Live entertainment and games are included, while cocktails, wine and beer are available for purchase from the cash bar. Tickets start at $119.90 on weekdays and Sundays and $124.90 on Saturdays. If you want to splurge, upgrade your ticket to reserve a window table and make the most of the views. There’s no time like the present to book your stay at The New Yorker Hotel. Our modern rooms are perfect to relax after a day of sightseeing. For more travel tips, follow The New Yorker Hotel blog.